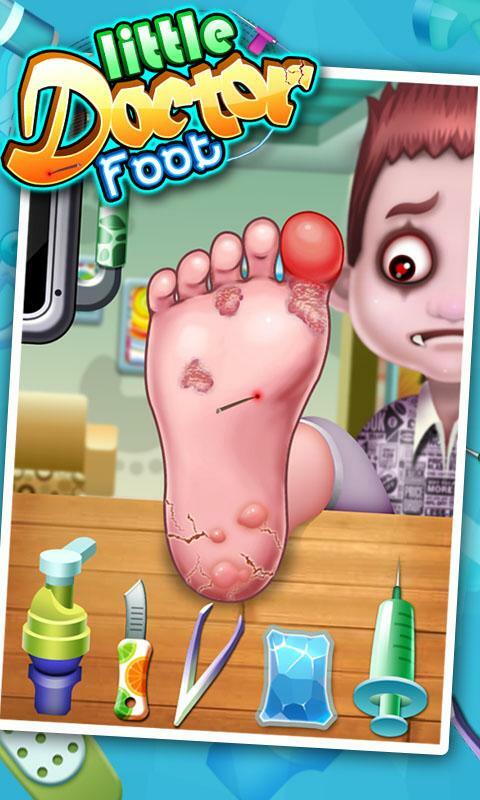 Someone recently brought to my attention that there is an app out there called "Little Foot Doctor." The app itself is free, but to cure the 'patients' of their foot ailments, most treatments must be bought. I perused this app a little just to see what it was all about. Patients with sometimes creepy faces have issues like blisters, boils, infections, broken bones, splinters and cracked heels. You are given a few tools to remedy these conditions, but in most cases, special creams or prescriptions have to be purchased through the app to 'cure' the ailments completely. Reviews on this game discuss the costs of purchasing various treatments and also describe it as "gross" or "disgusting." I find it funny and can't help but wonder who comes up with this stuff!?! Unfortunately, the digital world appears to be farther ahead than the real world - with the click of a button a condition is completely alleviated! If you have any one of these foot ailments (or really any foot issues at all), don't forget to call your local foot experts at Prairie Path Foot and Ankle Clinic!